Chef in Training recently shared this recipe and we love, love, love it! Taquitos are great to prepare for parties, to eat while watching sports on TV or just for a snack. Cheers! 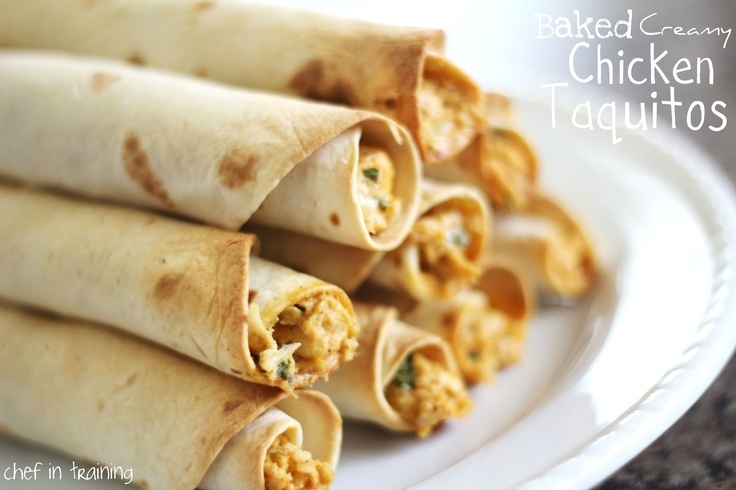 **To freeze: Before baking, flash freeze the taquitos in a single layer on a baking sheet then place in a labeled freezer bag and store up to 3 months. To bake a frozen taquito (no need to thaw first): Preheat oven to 425˚F and bake for 20 minutes. (Flash Freeze means freezing the taquitos in a single layer for 15-20 minutes (until hardened) so that when you add them to the freezer bag, they will not all stick together). Visit Chef in Training for LOTS more great recipes! 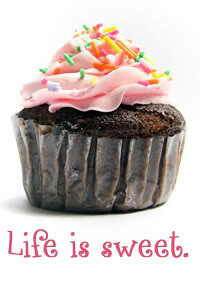 Cooking and baking should be fun... At least, that's our motto and we're sticking to it!